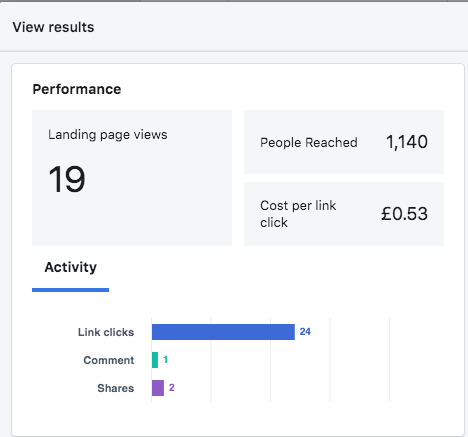 As you set off onto your business social media pages, keep your eyes peeled for the all-important “insights” or “analytics” pages. You’ll find them here on your Facebook, Twitter and LinkedIn pages. 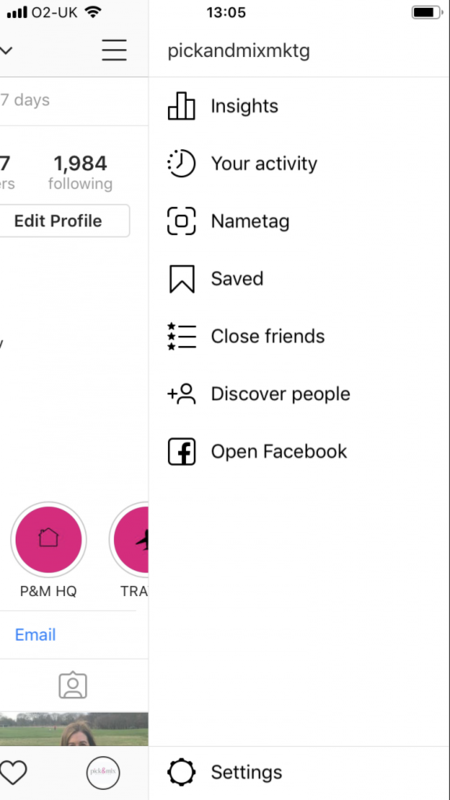 If you’re on Instagram, you’ll need to dig out your phone and click on the three lines in the top right hand corner to reveal this panel, then tap on “Insights”. 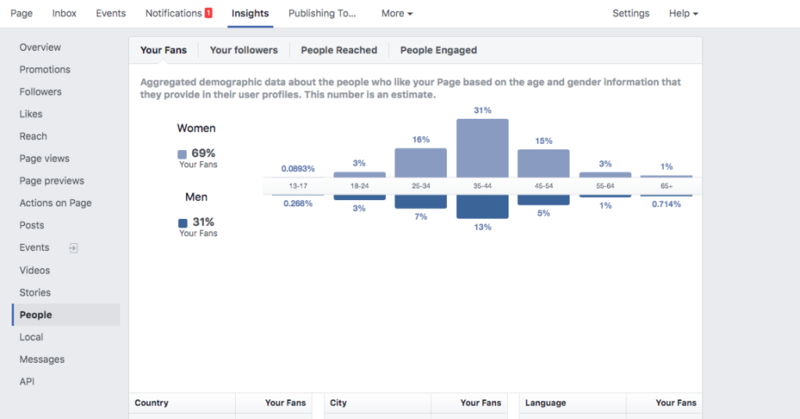 In this blog post, we’ll be focusing on Facebook insights in business manager. However, if you’d like us to guide you through the insights and analytics pages of Twitter, LinkedIn or Instagram, you can book a training session with us here. anything like our clients, this is the first thing you’ll want to find! Look out for a list of all your recent posts and study the times that they were posted. Can you spot any patterns between a particular time of day and high reach or engagement? 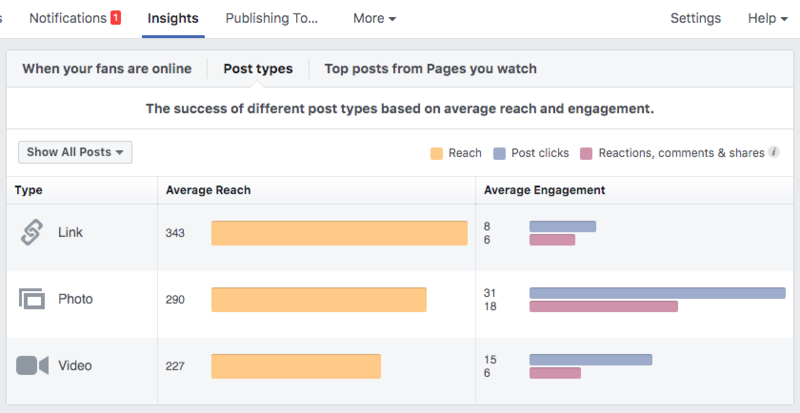 Reach is the number of people who have seen your business’ posts in their feed. There’s a handy tab on Facebook that reveals when your fans are online. If you notice that your reach is low, it may be because the time that you posted was when few of your followers were on online. 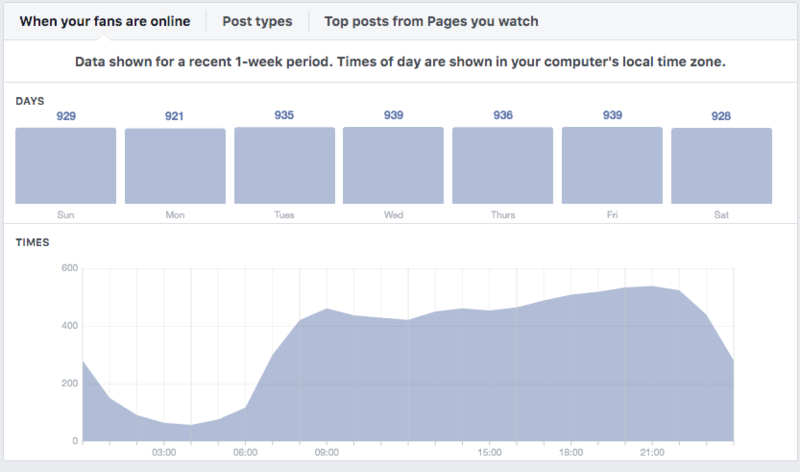 Generally speaking, evenings tend to be the best time to post on Facebook but have a hunt around and see what’s true for your own audience. Not far from where you found your best time to post, you’ll spy a tab called “post types”. Click there and you’ll discover whether links, photos or videos do the best. Of course, this will depend on how often you publish each kind of post. If you rarely create videos for Facebook, then looking too closely at video engagement figures there will send you up the garden path! Now you know when your followers are looking at your social media posts, it’s time to track down who these people are. Wander down the side tab of your insights page and you’ll find out. Try and click on “people”. 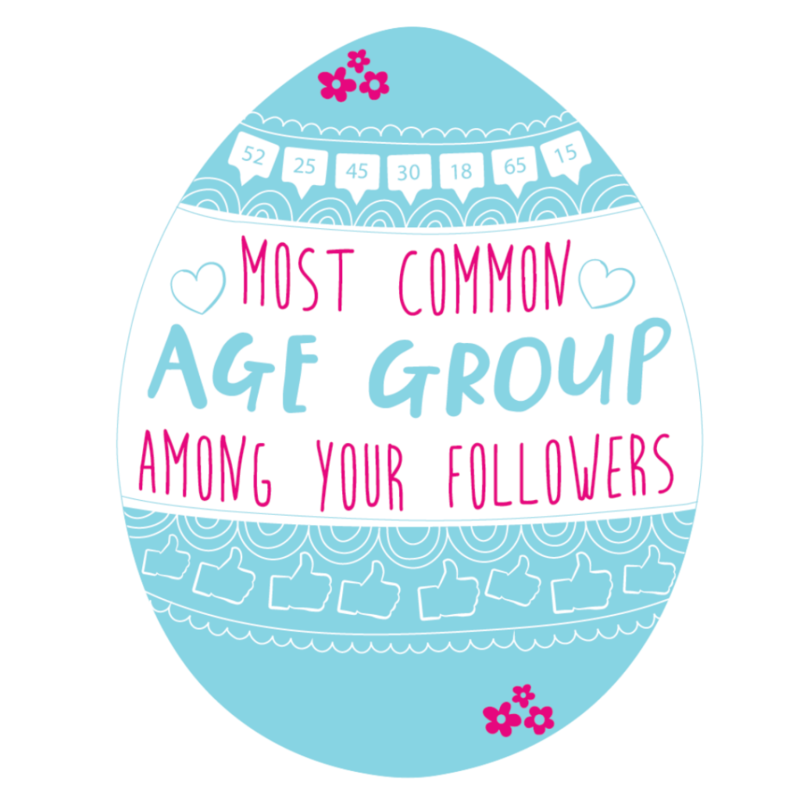 From there, take a close look at which age group is most common among your followers. This will vary business to business. If you’re a budget hostel offering cheap accommodation abroad, you’ll be unlikely to have many 65+ subscribers. If you’re hosting children’s parties, you’ll be looking to have lots of young parents on your trail. 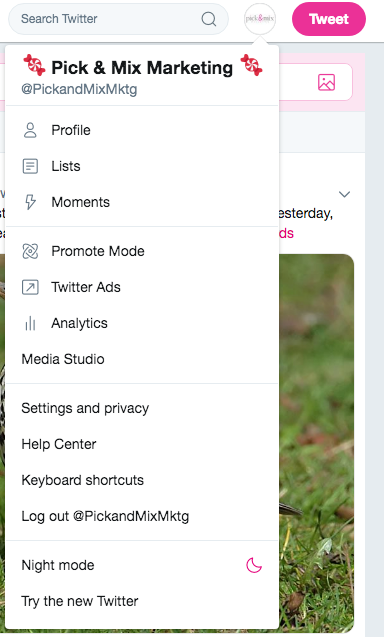 You’ll spot the gender break down on the left hand side and if you keep scrolling down, you’ll even see where your followers are located. All precious information to unearth! You can keep these kind of people in your mind when you’re writing your posts. 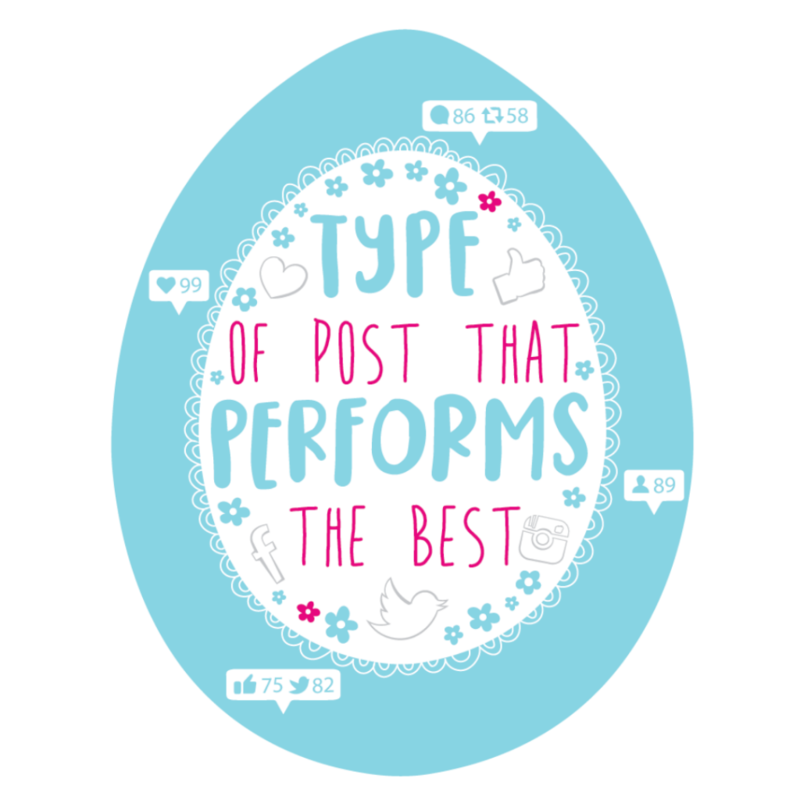 As you’re making your way through your social trail, be sure to watch out for your bad eggs: in other words, the posts with poor performance. There’s no point spending time on rotten content which gets very little engagement from your followers. Instead, you need to be posting things they love! 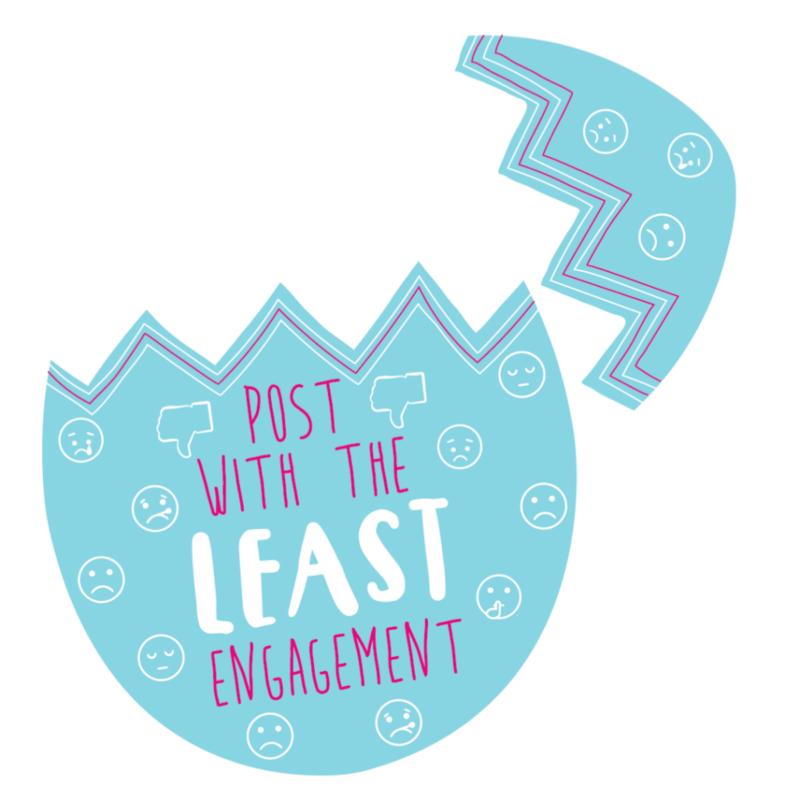 Engagement is how many people have viewed, liked, commented on or shared your posts. We talk about reach and engagement together because the more engagement, the more reach! On Facebook for example, every time someone comments, their friends will see the post in their feed. So think about why those low performing posts did not do so well. Did you post at a time when your followers were not online? Was the post badly written, irrelevant or too generic to be interesting? We’ve got plenty of tips for writing engaging social media content here. And finally, the golden number 5! 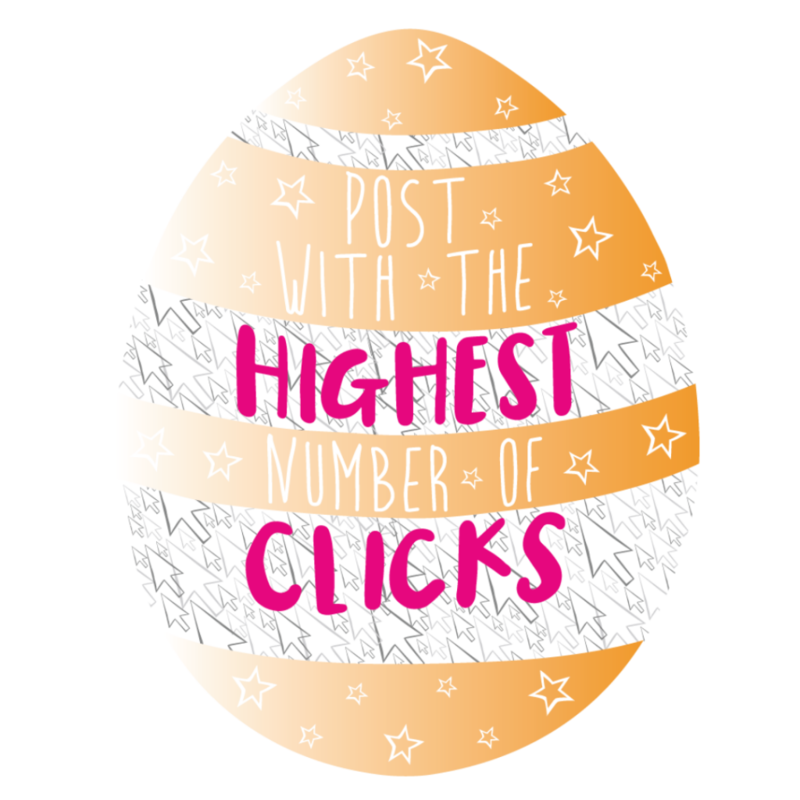 You’ve made it through the maze that is your Facebook insights page and are finally ready to uncover your special egg! If you’ve run some Facebook Ads, you’ll spot a magic button called “view promotion”. From there you’ll discover a whole new set of insights telling you how many people clicked on the links that you shared. This is really important because it gives you a clue of how many potential customers are seriously interested in your business. They’ve navigated away from their Facebook stream to look into what you offer! If you’re an e-commerce business, clicking through may bring people to an actual sale. You can evaluate the number of link clicks against the number of conversions you’ve had from the ad. You’ll realise whether what you posted worked well and know whether to repeat it. Over time, this should increase your business’ sales. There are many more nooks and crannies to explore on your social media insight pages and we’d love to point you in the right direction! Why not give us a call on 01904 863511 to find out which training session would be perfect for you? 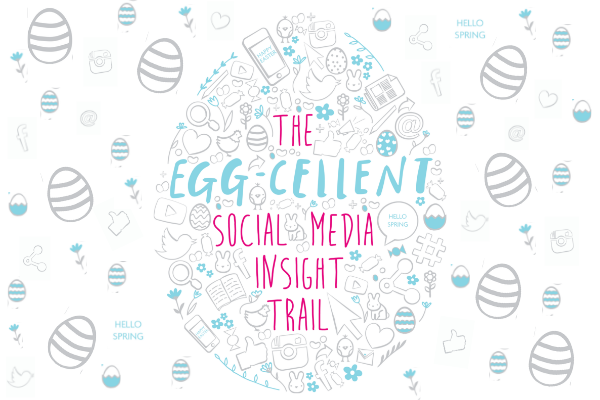 Congratulations on finishing your egg-cellent social media insight trail! We hope you’ve picked up some tips for creating crackin’ content and now have an idea of how to get some egg-splosive results! Regularly paying attention to these back pages means you’ll learn egg-sactly what you need to post to whip up your marketing. If not, the yolk’s on us! Happy Easter from the team at Pick & Mix Marketing!